As clichéd as it sounds, never before has the statement ‘dreaming is not a strategy’ taken on greater significance than when it comes to our private lives. Organising that all-important quality time with family and friends is now the domain of PAs and confidantes, pushed aside by even the most good-intentioned of CEOs, as the will to spend yet more nights in hotels slowly wanes. Increasingly we are searching for something different. Something that will allow us to let off steam, something unique, something we and our, probably slightly less wired partners and friends, can enjoy together in comfort and privacy. And these days, overly in-demand, overly worked CEOs are veering away from the worn-out lure of staid land-based resorts, opting instead for the ultimate in bespoke luxury and adventure: a personalised stay onboard a private yacht. “Being on a yacht is about getting complete and total relaxation,” one of Ireland’s most renowned businessmen, paper-packaging magnate Sir Michael Smurfit once told me. “The ocean is the last place of real privacy anywhere in the world,” he said. “And when you’ve got all your closest friends together and each night you are somewhere different…how can it be anything else but fun?” Annemarie Gathercole is a Senior Charter Manager with luxury yacht specialists Yachting Partners International (YPI), a company that has been chartering yachts between 24–70m (and above), across the world for over 40 years. 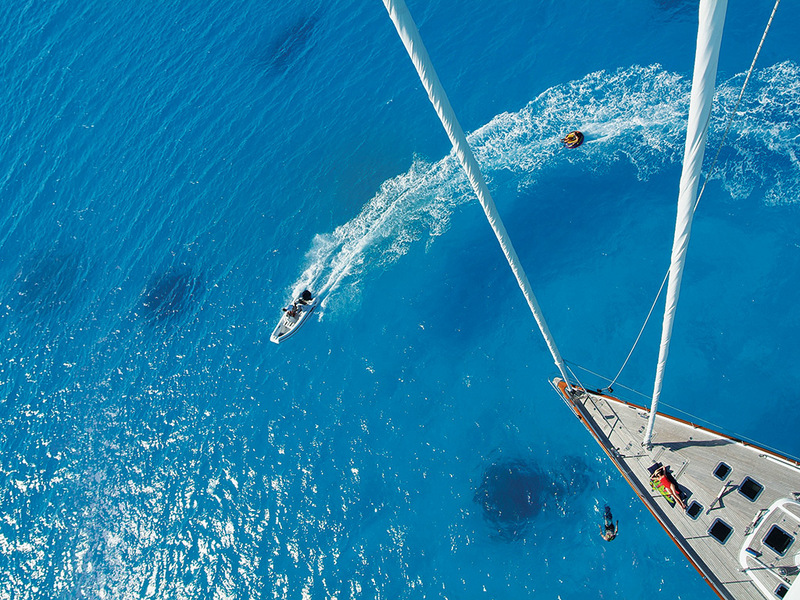 And therein lies the driving force behind charter’s growing demand, a demand that today extends well beyond the generations of aficionados who for years have been quietly enjoying luxury’s greatest guarded secret – it is the attraction of unspoilt choice. As well as sampling the fare of Michelin-starred chefs who often form part of a yacht owner’s personal crew, today’s charter yachts come with their own gyms, multimedia lounges, swimming pools, jacuzzis, jet-skis, tenders, submarines and even a helicopter. So days onboard are as fully charged or as laid-back as you wish. To quote one regular charterer and well-known business leader: “Chartering is the one and only time being in deep water makes me happy.” Here’s to your own deep water experience.